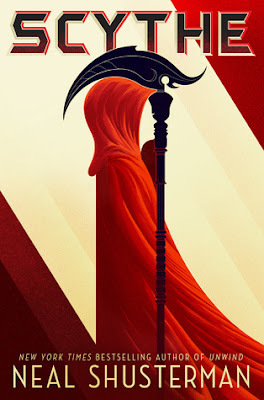 I had not originally planned to read Scythe just yet, but when a copy of it arrived on my doorstep along with its sequel, Thunderhead, I was curious enough to dive into it right away, without really knowing what to expect. Of course I had seen the book around before, but I had never really looked into it, so I basically went into the story completely blind. And the story I got completely blew me away!! I want to start this by saying that I can’t even imagine living in the world which takes place in the book. Yep, no thank you! Sure it is a world world no hunger, no disease, no war, no misery… But first, I can’t imagine living as long as some of the characters in the book do, and second, some of those reapers are pretty darn scary. I wouldn’t want to meet with them on the last day of my life! Regardless, these things definitely made the story unique and interesting. 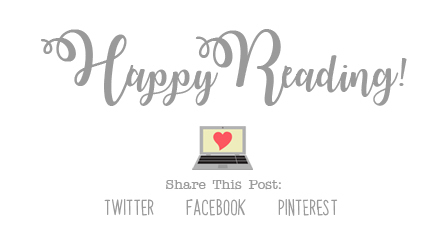 I can’t say that I’ve ever read anything like this book, and I’m actually really curious to continue the story with Thunderhead! The characters in the story were all really interesting, including the two main characters, Citra and Rowen, who are both chosen to be apprentices to a Scythe. (It is one of the nicer Scythes, at least.) It was interesting to see what these two characters had to endure to become a Scythe over the course of the book, and how they both completely changed as a character as well. I can’t imagine how these two felt going through all that they went through throughout the story, especially Rowen. I don’t think I could have done it. (Correction, I know I would not have been able to do it, so these kids are definitely stronger than I am!) After that ending, I’m super curious to know what’s going to happen next for these two characters. Overall; I didn’t know what to expect when I started Scythe, but I really enjoyed the well written characters and unique storyline. I’m hoping to get started on Thunderhead, the sequel to the book, as soon as I can, as well as the third book, The Toll, which is currently set to release in 2019. If you want to read something unique, do check out Scythe! And keep checking back soon for my thoughts on Thunderhead as well.